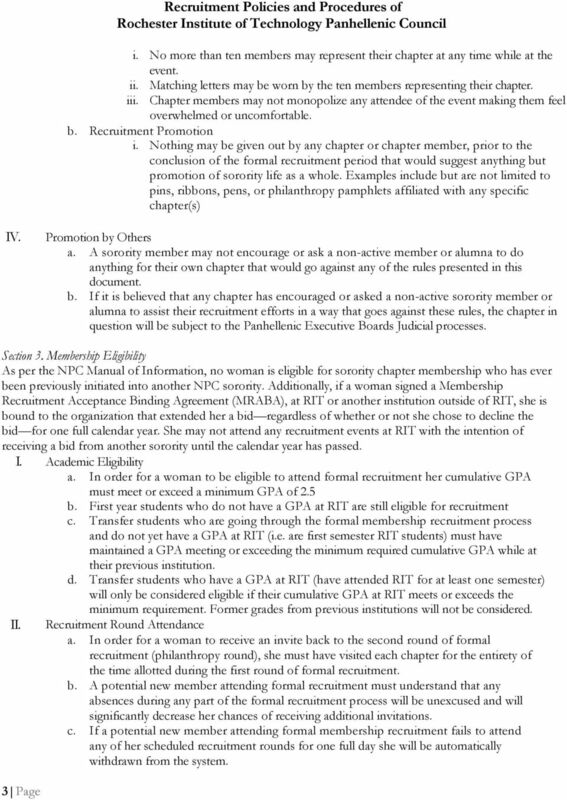 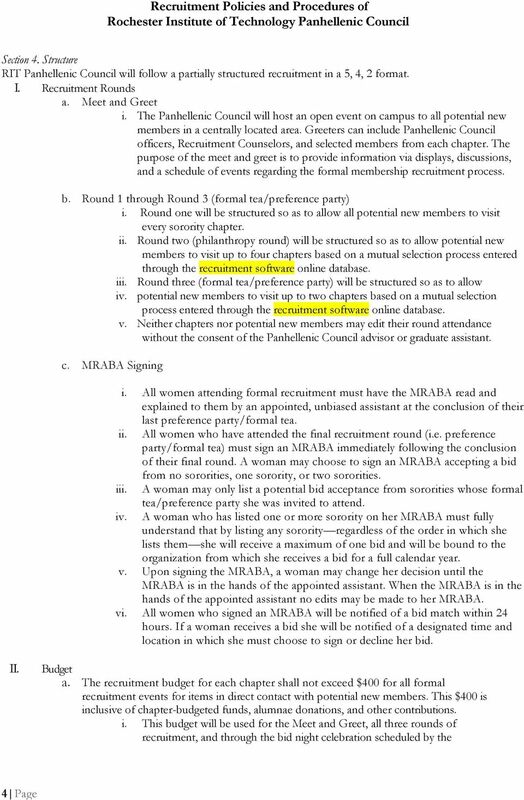 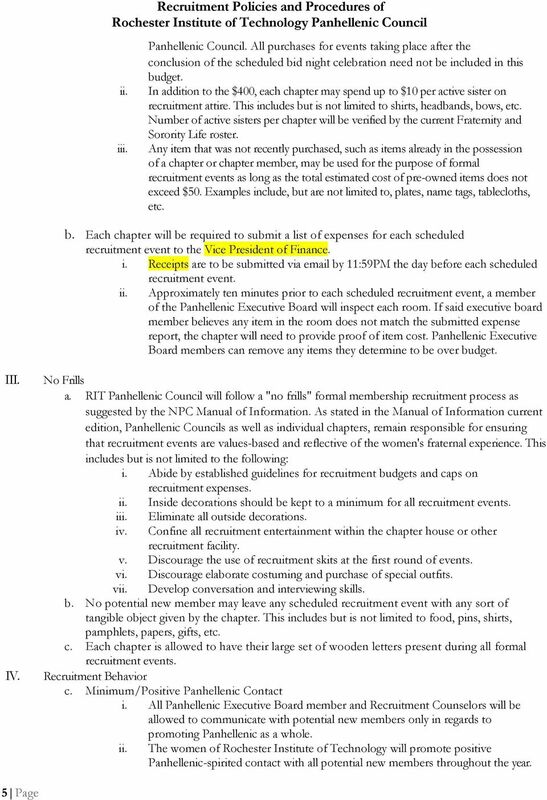 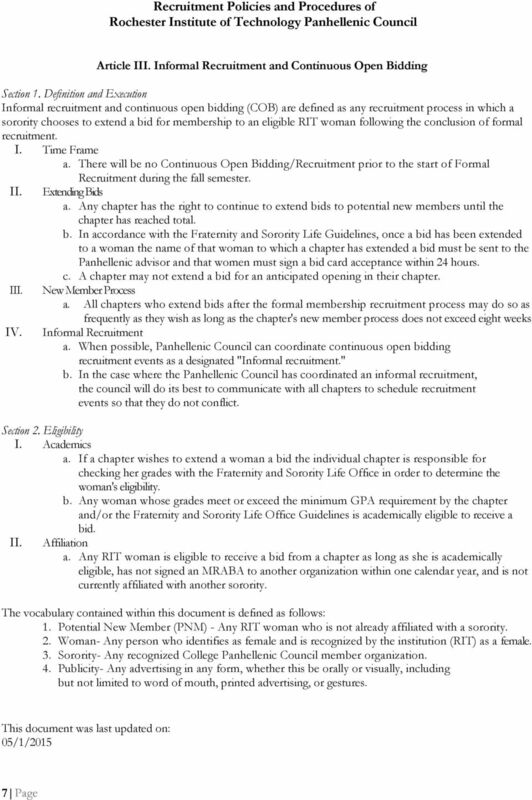 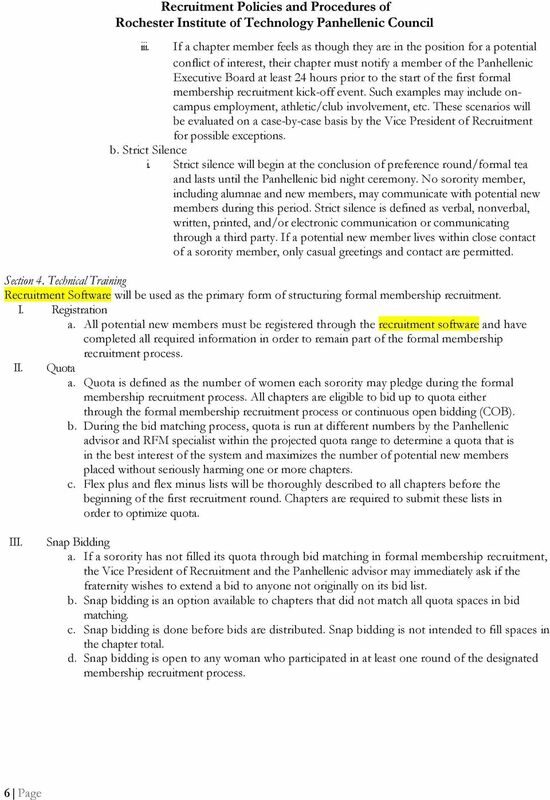 Download "Recruitment Policies and Procedures of Rochester Institute of Technology Panhellenic Council"
Kennesaw State University Recruitment Code of Ethics We, the undergraduate members of women s fraternities and sororities at the Kennesaw State University, strive to promote a positive image of Greek life. 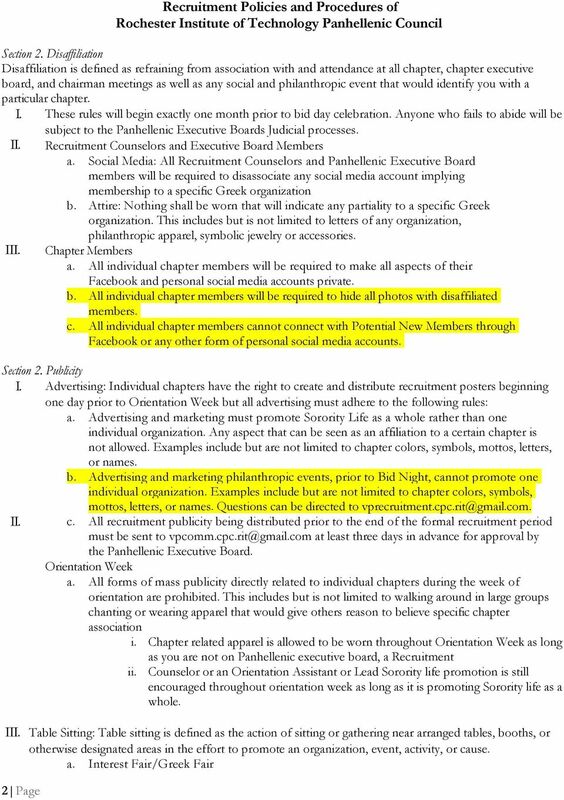 Panhellenic Recruitment 2016 January 6, 2016 January 10, 2016 Welcome to the tradition that Butler has sustained for over 150 years: Greek Life! 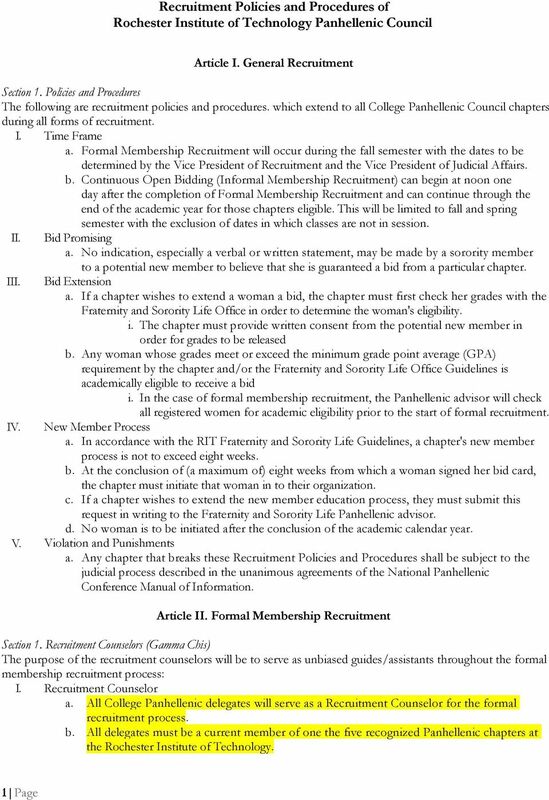 The opportunities that sorority life can bring you are never-ending.